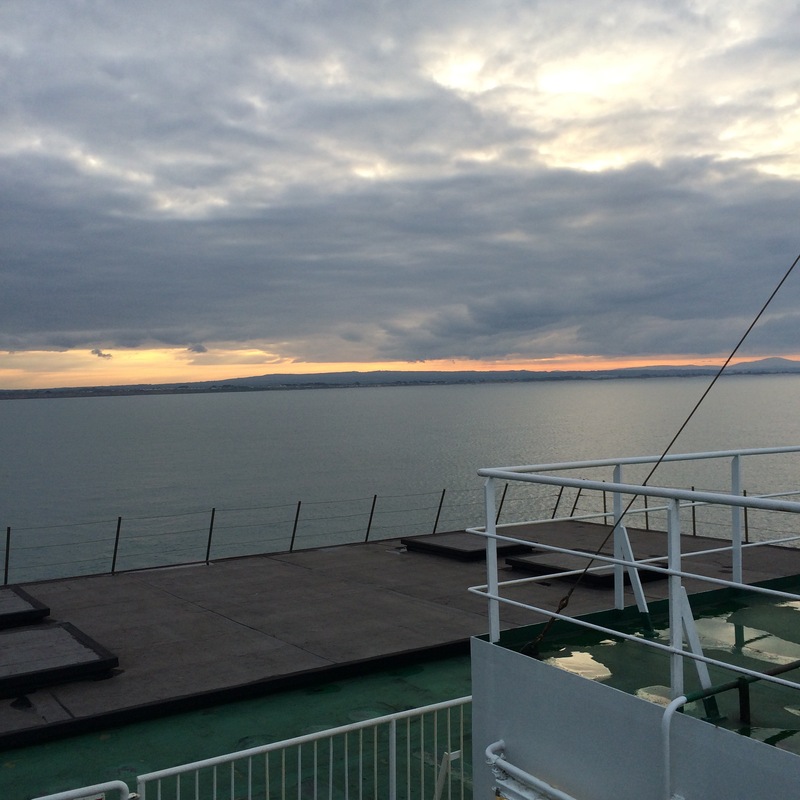 Watching the sunset over Ireland while travelling back to Wales on the ferry. I have completed my first solo trip! I got back from Ireland on Sunday, and since then I have been busy packing up and moving out of my Cardiff home. I now finally have some time to write about my final few days in Ireland, and my overall thoughts on the trip. I loved Dublin. I found it to be a great city with lots to do. I spent my first day visiting four different museums (a great solo activity, I found!) and soaking up the sun in the various city parks Dublin has on offer. I was blessed with amazing weather, and I had a picnic breakfast, lunch, and dinner just to make the most of it. I was so tired after my day that I was happy to finally get some rest in he evening, not feeling lonely at all for spending my time alone reading in the hostel room. My second, and last, day in Dublin wasn’t as exciting. I was catching my bus back to Cardiff in the late afternoon, and so my mind was occupied with some anxious thoughts regarding the journey back, and I didn’t get to enjoy myself as much. However, the atmosphere in Dublin was great that day, as there was a big sports match between Ireland and Scotland happening. The city was bustling with Irish and Scottish fans (a lot of men in kilts! ), and it was a great way to say goodbye to Ireland. The journey back went very smoothly, and was anxiety around it was completely unnecessary (as usual!). On my journey back I was thinking about how fast my trip had gone, and what a great time I had had. I hadn’t expected it, and truthfully, I’m proud of myself. I didn’t think I would be able to handle a solo trip as well as I did, and I’m actually excited at the prospect of going on more solo trips in the near future. For those of you feeling anxious about going travelling on your own, I urge you to try it. Don’t make your first trip too hard on yourself, ease into it. The reason I chose Ireland as my first solo trip is because it is a predominately English speaking country. All the signs were in English, all the information I needed was in English, and everyone spoke it. This made my first solo trip a whole lot easier. My next challenge is going to a non-English speaking country on my own. I know it seems daunting to go on a trip on your own, but you really do get to know yourself so well. I know it sounds cliché, but when you have to spend all that time in your own company, it leaves to much time to explore the person you truly are. Just know that you can do it. Don’t let factors like your anxiety hinder you from seeing the world. As powerful as your anxiety may seem, you are strong enough to beat it. And for those that don’t suffer from anxiety, but are simply afraid of travelling on your own, just remember that you are capable of anything. The world might seem like a scary place sometimes, but the more you explore it, the more you realise how truly beautiful it is. Aw thank you for your comment 🙂 I hope you have a great time over summer!! !